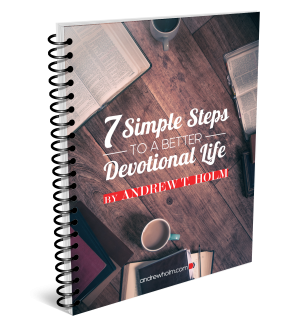 Want to have a better and stronger devotional life? Many of us believe we’re doing alright, and most of us are doing at least something, but are we doing the RIGHT things? 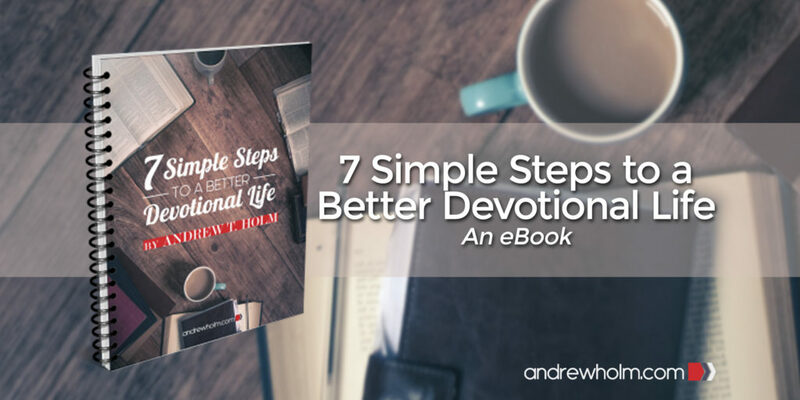 This eBook will help you assess where you currently are, and offer seven steps that can help you improve your devotional life in ways you probably haven’t thought of. To help you in your journey, I’m offering this eBook for FREE to anyone who subscribes to my weekly email update. 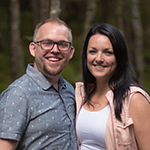 All you need to do is provide your first name and email and I’ll make sure you’re sent a link to download the book and stay up to date on the most recent blog posts. I’d love for you to join the conversation and receive your FREE copy today! To get started, you’ll want to complete the assessment in the eBook. Try and be as honest as you can with yourself. Don’t simply select the answers that you think reflect where you need to be (i.e. the perfect answers), but humbly select the answers that best match your present reality. There are no “right” answers; only honest answers. The more honest you are, the more helpful this resource will be. Take your devotional life to the next level! Take advantage of this FREE resource today, and join the conversation! Subscribe to receive a download link! *This eBook is completely FREE for those who are subscribed to The Journey Holm. This is a digital download; no physical item will be shipped. Would you like to say thank-you? You can send the author a donation to help with the costs associated with the blog, or just to say thank-you. Buy the Author a Coffee! ($3)Buy the Author Lunch! ($15)Other amount! This resource is being offered for FREE until the end of March 2019. To help improve future releases of this product, I’d love to hear your feedback! Please take a moment to complete this short survey. You can send any comments, suggestions, or corrections to: andrewholm@gmail.com. All rights reserved. No part of this book may be reproduced in any form or by any electronic or mechanical means – except in the use of brief quotations embodied in articles or reviews – without written permission from its publisher. This is a FREE eBook to help you on your spiritual journey. It includes seven steps and numerous links to resources that can help. If you use the provided links, the author receives a small commission to help pay for this blog and associated costs. "A wonderful resource for the disciple's quest of Christlikeness..."
"This will help me grow deeper in my personal experience..."
"A resource I'd like to share with my congregation..."